Home // Welcome, Military Guests! 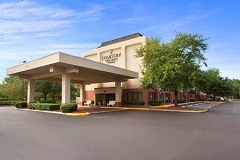 We want to welcome you to the Country Inn & Suites Jacksonville I-95 South! Our hotel is conveniently located just 10 minutes from downtown Jacksonville, FL!